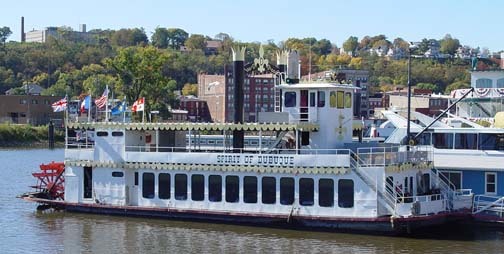 The spirit of Dubuque fall color trip and dinner is a wonderful way to spend a day on the Mississippi river. You can find out more by clicking on the picture ! A nice Quick trip for us to go to is Dubuque, Iowa. It's only around 90 miles due west of here, and the last 20 are through some of the most scenic country that that exists in northern Illinois. 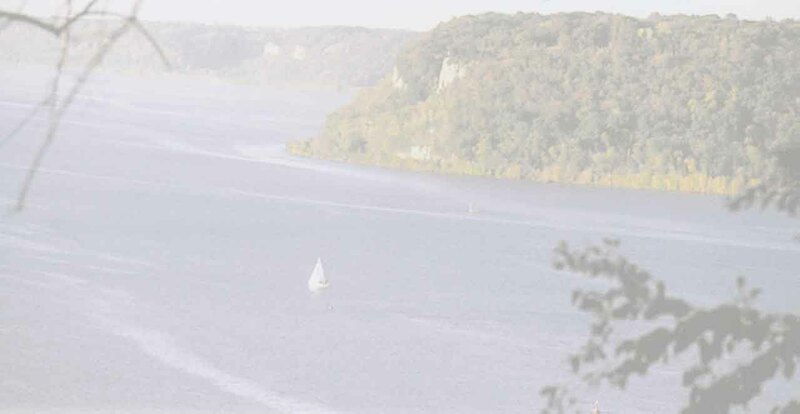 The Dubuque area, is a fall time favorite retreat area for "Leaf Peepers" to visit, as you can imagine the colors and rolling landscape are breathtaking to say the least. 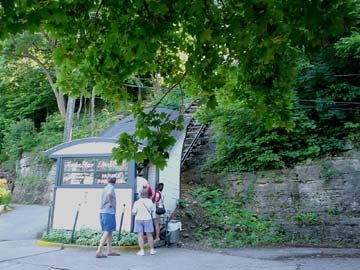 We made this stop over the 4rth of July holiday 2003, and hit a few of the highlights just for a day trip, but now have a list of other spots to go for the next journey. Our first stop was the National Mississippi River museum, and aquarium. It had just reopened this summer, and was a quite busy. I think a lot of it has yet to be finished, there was a lot of open space in the building yet to be filled. It had just opened the week before, so I will probably check back in a few more years.The best part of the museum for me was the William M. Black. 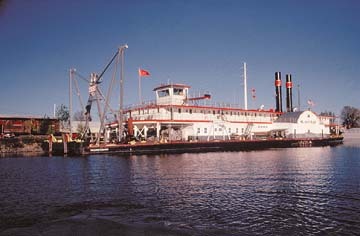 It is a steam powered paddle wheel dredge boat that in service until 1973. The museum now has it, and you can walk about the entire ship on your own, and imagine what it must be like to work on the river. This was one of the photo op spots set up at the museum. 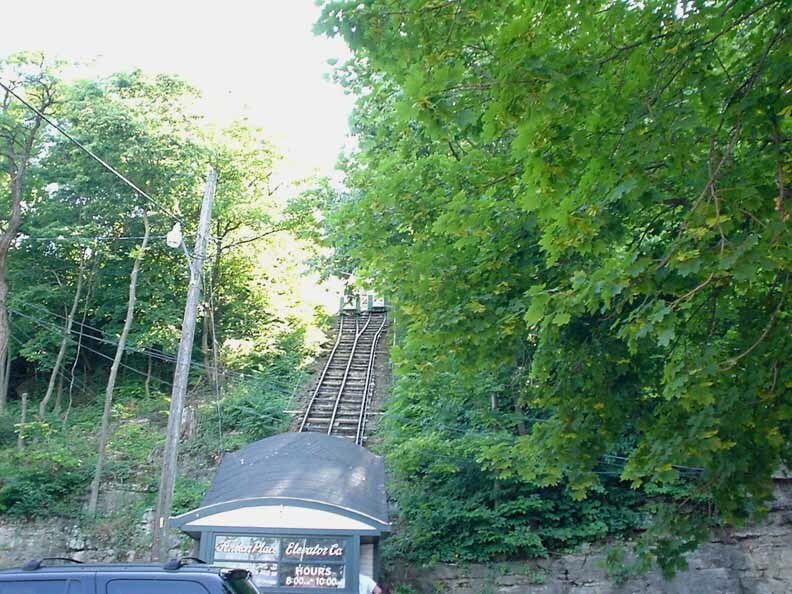 Another place to stop here was the Fenelon Place Elevator This was a little hard to find, The trees were really covering it up as we drove by it twice, but it is right at the bottom of 4rth St. 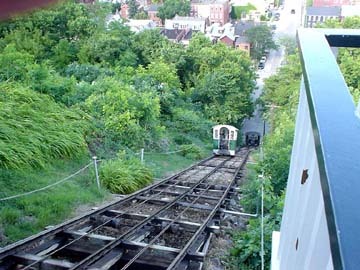 It's defiantly worth the ride to the top, to look out over the great Mississippi river basin, and get a view of the 3 states. Looking down the rickety track the cars scoot around each other about half way up.